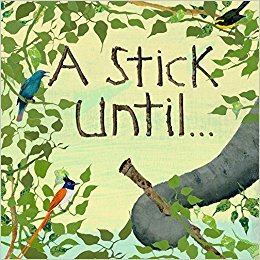 Before reading the book, talk about the process of how a caterpillar grows and then goes into a chrysallis or cocoon and then emerges as a butterfly or moth.Early Literacy Aside--Example: Talking about what you know, even if it is not in the book, helps your children understand the world around them. Use words that your child may not already know, just explain them. This is how you build their vocabulary and background knowledge which will later help them understand what they read. Read the book Don't Worry Bear by Greg Foley.